(Reuters) - The U.S. State Department will not review the breaches of the 2008 ethics agreement Hillary Clinton signed in order to become secretary of state after her family's charities admitted in March that they had not complied, a spokesman said on Thursday. Clinton, now the Democratic front-runner in the 2016 presidential election, had promised the federal government that the Clinton Foundation and its associated charities would name all donors annually while she was the nation's top diplomat. She also promised that the charities would let the State Department's ethics office review beforehand any proposed new foreign governments donations. The State Department "regrets" that it did not get to review the new foreign government funding, but does not plan to look into the matter further, spokesman Jeff Rathke said on Thursday. The broken ethics agreement has made it harder for Clinton to deflect accusations in recent weeks that foreigners banned from donating to U.S. political campaigns can instead curry favor with her by giving to the charity that bears her name. 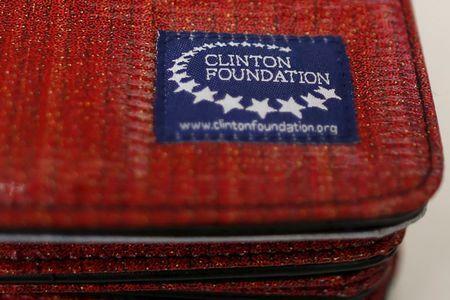 The charities accepted new donations from at least six foreign governments while Clinton was secretary of state: Switzerland, Papua New Guinea, Swaziland, Rwanda, Sweden and Algeria. The governments of Australia and the United Kingdom, which were already funding projects at the time Clinton signed her ethics agreement, increased their funding by millions of dollars during this period. Rathke, the State Department spokesman, said the department was not aware of donations having an undue influence on U.S. foreign policy. When reporters asked how the department could know this without reviewing the belated disclosures, he declined to comment further.